Nos Vies en Partage roughly translates to “Sharing Prosperity”, an ethos which lies at the fundamental core of our foundation. In 2010 the Nos Vies en Partage charity was borne out of an initiative by Randgold Resources CEO, Mark Bristow, and the group’s senior geologists. 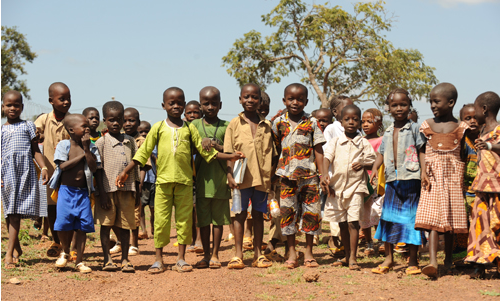 Subsequently, the Nos Vies en Partage Foundation was established in 2013 by African focused gold exploration and development company, Randgold Resources Limited, as a charitable foundation with the objective of tackling social development challenges which affect communities in the host countries where the company operates. Particular focus being on raising funds for those people, especially women and children, who do not benefit from the economic growth in Africa. Nos Vies en Partage operates separately from Randgold Resources and Randgold’s own sustainable and charitable projects. promotion of any other purpose beneficial to the community not otherwise covered above, including without limitation a safe environment. 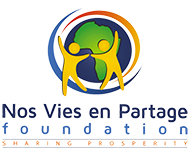 The Nos Vies en Partage Foundation welcomes the opportunity to discuss with companies and organisations about working in partnership to contribute to the foundation’s initiatives in Africa.